Are you enthusiastic for community Involvement? Passionate about working with children and their families in a non-traditional environment? Enjoy engaging and hands-on experiences? 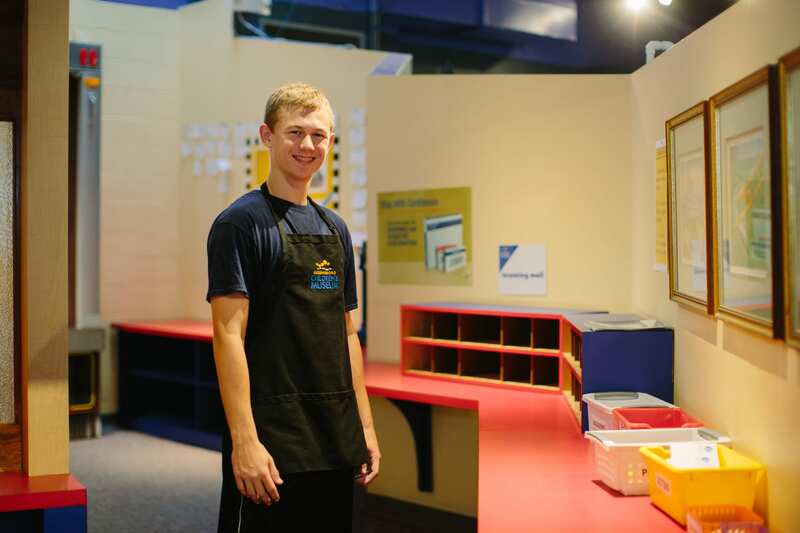 Volunteer with Greensboro Children’s Museum to help children of all ages learn, grow and play! As a volunteer, you play an important role in the daily activities, programs and behind the scenes work at GCM. Your involvement with the Greensboro Children’s Museum can be a rewarding, helpful and fun experience working with staff, other volunteers and museum guests. Must be at least 14 years of age to join us. floor volunteer: GCM’s floor volunteers make the Museum environment an unforgettable place for our visitors by playing in the exhibits, while also being an incredibly important resource for our staff members. Floor volunteers will have the opportunity to engage with our visitors in our exciting, interactive exhibits through hands-on, imaginative play. The Museum has a very different pace depending on the time of year, the time of day, and the temperature outside. You will also be asked to assist our Education and Operations staff with any cleaning or special program assistance that may take place during your shift both on the floor and behind the scenes. The GCM is in need of flexible floor volunteers who are open to the constantly changing pace of the Museum environment and love to play! front desk volunteer: The front desk is one of the most important aspects of the GCM. This is where our customers check in, get their questions answered, and it is the first impression visitors have of the Museum. The GCM needs a front desk volunteer who has customer service experience or interest, enjoys answering the phone, and who would feel comfortable assisting the front desk staff member with check-in procedures, helping customers, and greeting guests as they walk in the door. The GCM seeks front desk volunteers with consistent and reliable weekly schedules. All volunteer trainings will be held at the Greensboro Children’s Museum and last approximately 1 1/2 hours. Complete an online volunteer application and Kristin Ginther, volunteer coordinator, will follow-up with you within 14 days. looking to schedule a group of volunteers? Tell us about your group and your interest. We have limited group volunteer options. As opportunities arise, our volunteer coordinator will coordinate with you.